Corribpoint's Akula product is a cloud-based solution that provides financial institutions with an integrated solution which addresses all of their AML/FS compliance requirements in an efficient and cost effective manner. The Akula platform automates the identification of suspicious financial transactions in your organisation, saving you money and time. 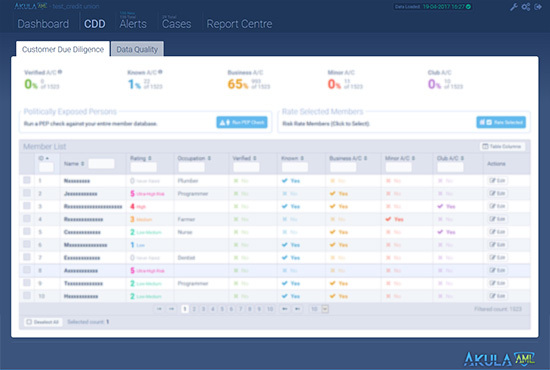 Akula automates the risk rating of your organisation's customer database and facilitates the efficient use of staff time in targeting high risk customers. 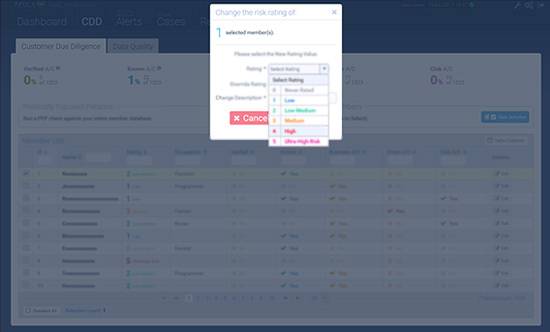 Akula automates all customer due diligence (CDD) activities enabling your organisation to identify and manage customer risk exceptions over time. The Akula platform automates the loading of data from the organisation's operating system, identifies data issues in the operating system and facilitates the actioning and resolution of data quality exceptions. 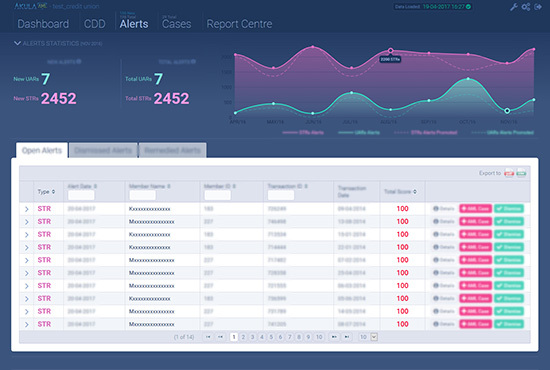 The Akula platform provide a platform for staff to raise report suspicious activity reports in an anonymous and efficient manner. Akula automates the process of notifying suspicious transactions to the relevant authorities. 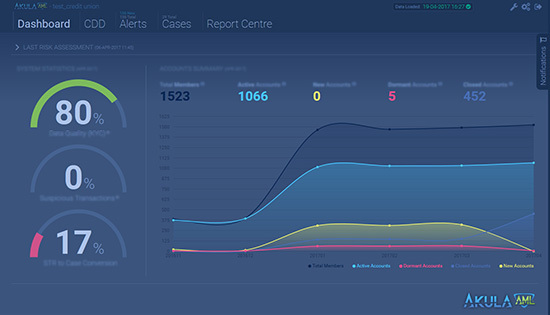 The Akula platform facilitates the generation of Monthly AML Report for board-level reporting. The Akula platform enables your organisation to meet Anti Money Laundering obligations at minimum costs. 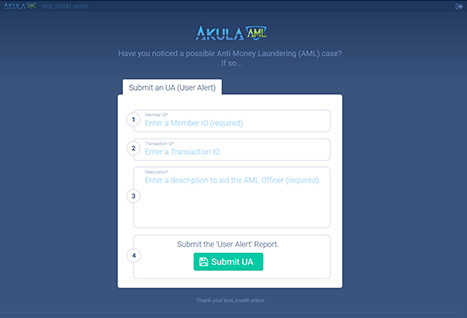 The Akula platform facilitates the capturing of your organisation's AML policies and subsequently records all evidence of activities that are consistent with these policies. All AML activities are carried out within the context of a clear organisational risk assessment which is completed on the Akula platform. 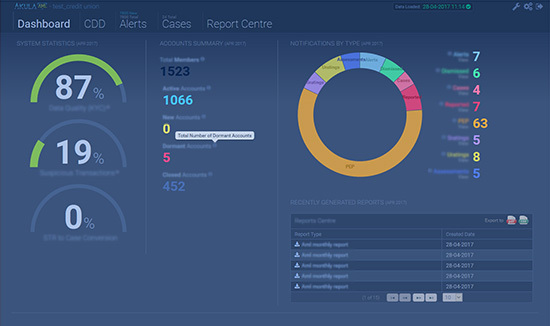 AML oversight at board level is enabled and facilitated via Akula dashboards, via notifications and via regular AML reports. The Akula platform retains a complete audit trail of user actions and facilities the analysis of a platform activity via the Notifications functionality. 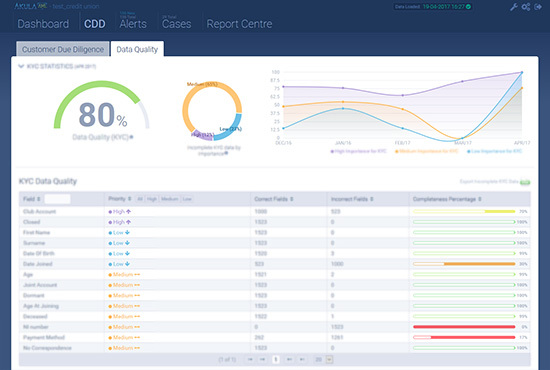 The Akula platform enables your organisation to implement programmes of improvement in the areas of data quality and customer due diligence, resulting in improved operational performance.